The differences between the Obama Administration’s leadership and work on crafting a national energy policy and those of the G.W. Bush Administration could hardly be more striking. To be sure, Obama’s “All of the Above” energy policy framework has come under criticism. The fact that the President and his administration have been faced with a recalcitrant Congress on the whole staunchly resistant to enacting stronger renewable and clean energy policies has to be noted, however. Despite the fierce opposition, the federal government under Obama’s leadership has managed to turn the energy “ship of state” significantly and decidedly away from its longstanding favoritism for fossil fuels and towards a healthier, more sustainable energy future based on cleaner, renewable energy resources. In fact, US renewable energy capacity is in the midst of a historic expansion: renewable energy capacity from sources such as wind and solar energy has doubled since Obama took office. Further evidence of this came yesterday, as Interior Secretary Ken Salazar announced that environmental reviews have been completed for two significant wind energy projects. Completed is the environmental review of an onshore wind power complex in Wyoming that at a planned 3,000-MW rated capacity will be the largest in the US and one of the largest in the world. 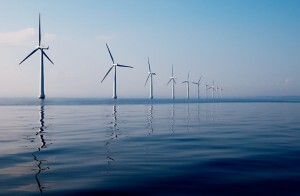 Completion of the second review clears the way for the federal government to lease areas of the Outer Continental Shelf (OCS) for offshore wind farm development. Onshore, proposed plans for the Chokecherry and Sierra Madre Wind Farm call for as many as 1,000 wind turbines to be installed, enough to supply clean, renewable electrical power to as many as 1 million US homes! The project is to be located on public and private land in Wyoming’s Carbon County. The Bureau of Land Management’s (BLM) reviewing the project, along with a proposed amendment to the Rawlins Resource Management Plan in order to make way for the project. Opening up of public land to wind energy development has been a focal point of the Obama Administration, an at times justifiably contentious one at that. Interior has approved 31 utility-scale wind, solar and geothermal projects on public land that if built will produce some 7,200-MW of renewable power to communities across the West. That’s enough to supply nearly 2.5 million US homes, BLM noted. When it comes to offshore wind energy development, the US has lagged Europe significantly, though not for want of determined proponents and advocates, including the President. Looking to catch up, completing the environmental assessment of the Rhode Island/Massachusetts Wind Energy Area is a significant step in the right direction. Part of the Obama Administration’s “Smart from the Start” offshore wind energy initiative, the environmental review clears the way for the federal government to competitively lease approximately 164,750 offshore acres of “mutual interest identified by the two states.” Information from the review will be used by the Bureau of Ocean Energy Management (BOEM)–created under Obama’s tenure– to engage stakeholders and the general public during a comment period in order to determine whether to issue a “Finding of No Significant Impact,” or conduct further analysis. The Obama Administration launched the “Smart from the Start” wind energy initiative in November 2010 to smooth the way for siting, leasing and construction of offshore wind power projects. 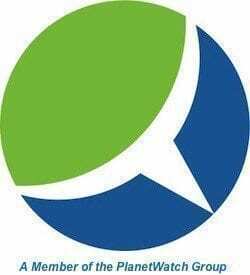 Central to the effort is the identification of promising “Wind Energy Areas” (WEAs), which is done by BOEM’s intergovernmental renewable energy task forces and other federal agencies, with the environmental assessment process meant to simplify the leasing process.